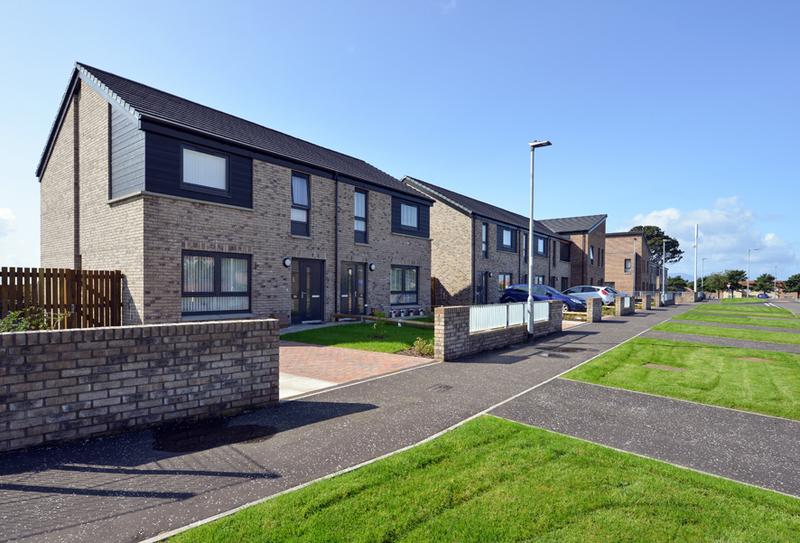 The Stanley Road, Ardrossan development continues the practice’s work in North Ayrshire with Cunninghame Housing Association. This scheme provides 28 no. 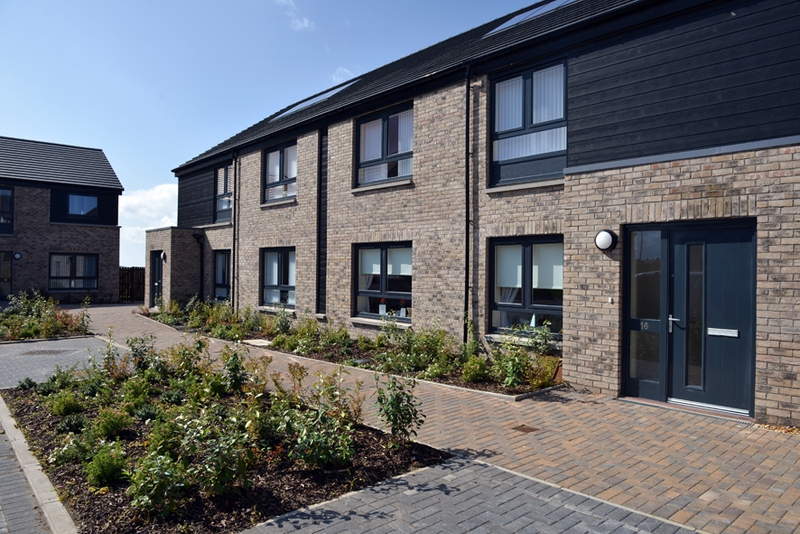 dwellings for social rent in a mixture of two and three bedroom housetypes, including specialised units for wheelchair and elderly/amenity use. 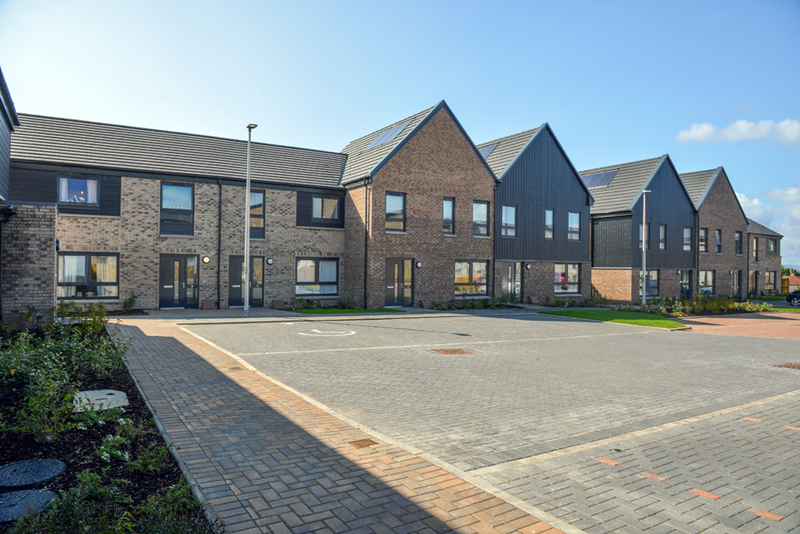 Built on the former site of Stanley Primary School, the completed development occupies a prominent position on the approach to the town centre. 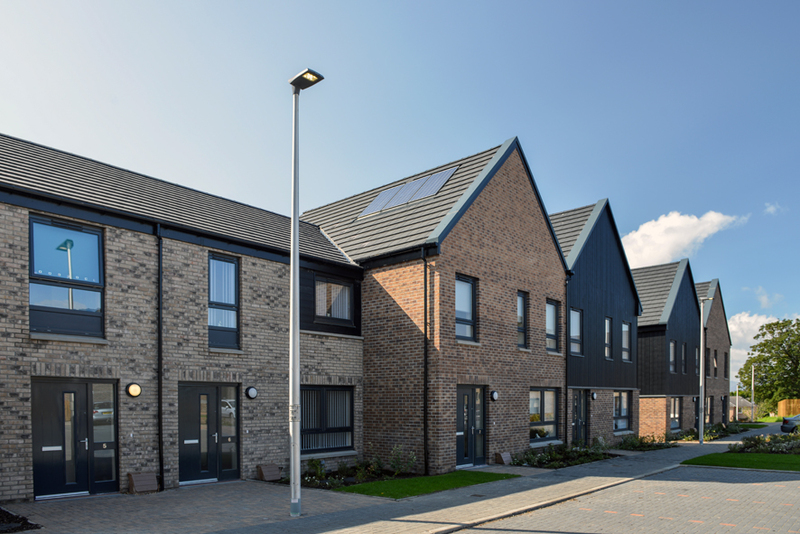 Adopting a robust masonry aesthetic, blocks are positioned to address the main frontage to Stanley Road itself, with the remaining units grouped around a shared surface courtyard within the site’s interior. A new pedestrian footpath connects this space with Dalry Road (to the west of the site), winding through a retained area of mature trees. 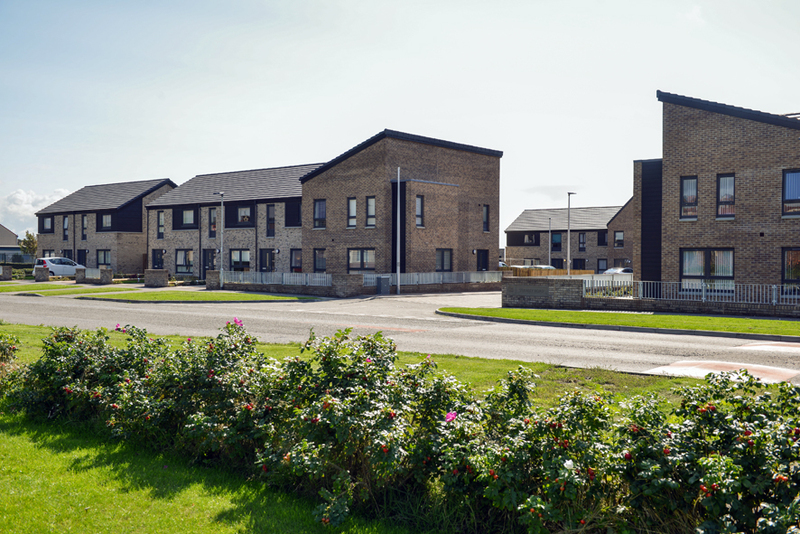 Extensive soft landscaping has been used across the site to soften building lines and to create passive boundaries between public and private areas in the absence of visually obtrusive boundary treatments. 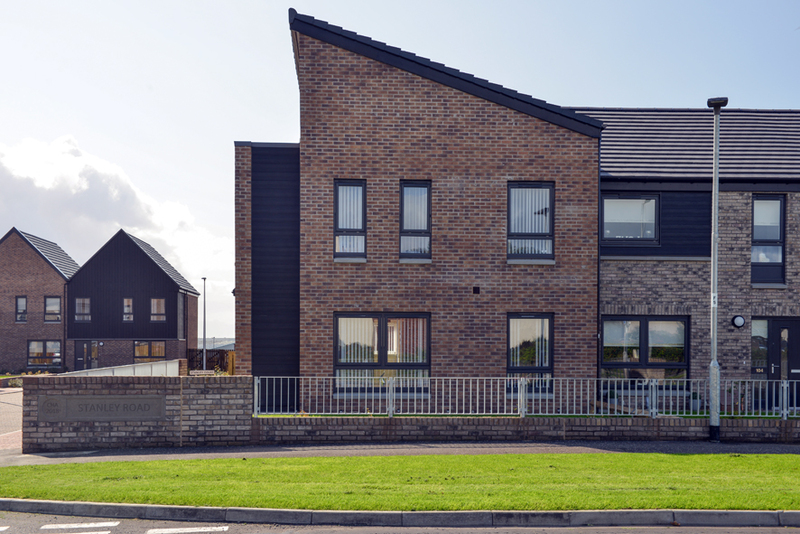 The completed development is reflective of a fundamental aim to establish an attractive and safe environment for people to live in, demonstrating a careful consideration of the site as a ‘place’ in its own right within the wider townscape.